Heated Leather Seats, NAV, Remote Engine Start, Dual Zone A/C, WiFi Hotspot, Onboard Communications System, Satellite Radio. FUEL EFFICIENT 30 MPG Hwy/19 MPG City! Bright White Clearcoat exterior and Black interior, 300S trim CLICK ME! KEY FEATURES INCLUDE Leather Seats, Heated Driver Seat, Back-Up Camera, Premium Sound System, Satellite Radio, Onboard Communications System, Aluminum Wheels, Remote Engine Start, Dual Zone A/C, WiFi Hotspot, Smart Device Integration, Heated Seats, Heated Leather Seats Remote Trunk Release, Keyless Entry, Steering Wheel Controls, Child Safety Locks, Heated Mirrors. OPTION PACKAGES S MODEL APPEARANCE PACKAGE Premium SRT Fog Lamps, Rear Bodycolor Spoiler, Body Color Performance Front Fascia Applique, Body Color Performance Front Fascia, Lower Grille Close-Out Panels, RADIO: UCONNECT 4C NAV W/8.4 DISPLAY SiriusXM Travel Link, 5-Year SiriusXM Travel Link Service, 5-Year SiriusXM Traffic Service, SiriusXM Traffic Plus, GPS Navigation, TRANSMISSION: 8-SPEED AUTOMATIC 850RE (STD), ENGINE: 3.6L V6 24V VVT (STD). Chrysler 300S with Bright White Clearcoat exterior and Black interior features a V6 Cylinder Engine with 300 HP at 6350 RPM*. EXPERTS RAVE The steering feels good on-center at highway speed, with solid heft adding stability for lane changes. The weight and resistance lighten up at slower parking lot speeds as well. -Edmunds.com. Great Gas Mileage: 30 MPG Hwy. Approx. Original Base Sticker Price: $40,600*. All prices include all applicable rebates and incentives. Pricing analysis performed on 4/3/2019. Horsepower calculations based on trim engine configuration. Fuel economy calculations based on original manufacturer data for trim engine configuration. Please confirm the accuracy of the included equipment by calling us prior to purchase. Third Row Seat, Heated Leather Seats, iPod/MP3 Input, Onboard Communications System, Satellite Radio. Touring L trim, Brilliant Black Crystal Pearlcoat exterior and Black/Black/Black interior. FUEL EFFICIENT 28 MPG Hwy/19 MPG City! SEE MORE! KEY FEATURES INCLUDE Leather Seats, Third Row Seat, Quad Bucket Seats, Power Liftgate, Rear Air, Heated Driver Seat, Back-Up Camera, Satellite Radio, iPod/MP3 Input, Onboard Communications System, Remote Engine Start, Dual Zone A/C, Power Fourth Passenger Door, Smart Device Integration, Blind Spot Monitor. Rear Spoiler, MP3 Player, Privacy Glass, Remote Trunk Release. OPTION PACKAGES S APPEARANCE PACKAGE Body Color Door Handles, Bridgestone Brand Tires, Premium Fascia Upper/Lower Grille w/Black Surround, S Badge, Wheels: 18 x 7.5 Aluminum Black Noise, Black Spear Rear Fascia Applique, Black Chrysler Grille Wing Badge, Black Badging, Tires: 235/60R18 BSW AS (TV1), Black Day Light Opening Moldings, Black Stow N Place Roof Rack, ENGINE: 3.6L V6 24V VVT UPG I W/ESS (STD), TRANSMISSION: 9-SPEED 948TE AUTOMATIC (STD). Chrysler Touring L with Brilliant Black Crystal Pearlcoat exterior and Black/Black/Black interior features a V6 Cylinder Engine with 287 HP at 6400 RPM*. BUY FROM AN AWARD WINNING DEALER Located in Miami, OK, Vance Auto Group is proud to be your premier dealership in the area. From the moment you walk into our showroom, you'll know our commitment to Customer Service is second to none. 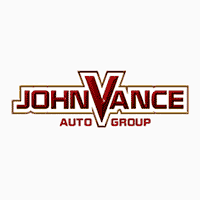 We strive to make your experience with Vance Auto Group a good one – for the life of your vehicle. Whether you need to Purchase, Finance or Service a New or Pre-Owned Vehicle, you've come to the right place. All prices include all applicable rebates and incentives. Horsepower calculations based on trim engine configuration. Fuel economy calculations based on original manufacturer data for trim engine configuration. Please confirm the accuracy of the included equipment by calling us prior to purchase.